When police arrive on the scene of a disturbance or disorderly conduct call, it's often a mystery regarding who or what exactly they're dealing with. VariAware, a Twin Cities application developer, wants to change that. 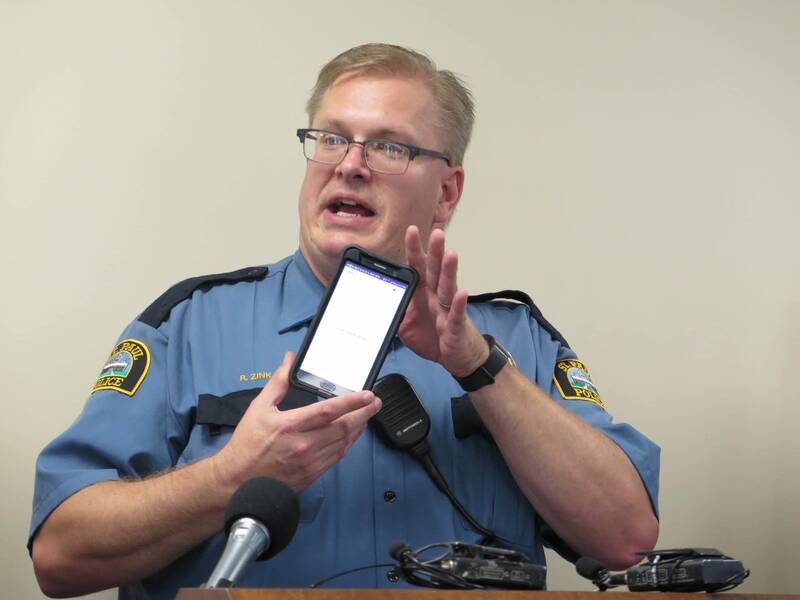 The startup is teaming up with St. Paul police to pilot a technology that alerts police and family members when police get within 30 feet of a person with autism, mental illness or other unseen disabilities. The goal is to tell police as they arrive on a scene what conditions a person has and how the officer might be able to help. Police want to avoid incidents like the 2015 struggle in which a Metro Transit officer wrestled to the ground a teen with autism, badly injuring him. • Mental health and the criminal justice system: Can Minnesota do better? The app works like this: VariAware subscribers get a tiny Bluetooth device that sends a signal to nearby phones. Users or their caregivers upload a slew of personal information to the app. Police officers or paramedics download and activate a secure app on their own phones that will sense when an active Bluetooth beacon is within about 30 feet. Then, "there's a notification that's sent to the phone and just like any standard notification that you receive, Twitter, Facebook, anything like that, it displays, and you can tap on it and it opens right up," said Nick Tietz, chief digital officer for VariAware. 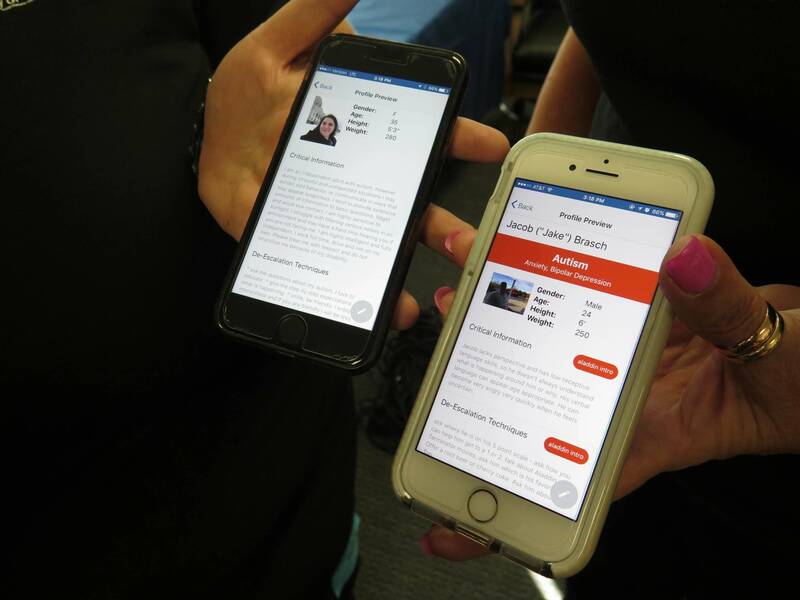 VariAware, a secure app, will then display for police the name, description and photo of who alerted them — plus what kind of medical condition they might have, tips for approaching them, calming them down or getting them treatment. Rob Zink, the officer behind the program, has children with autism and said he'd been thinking about a way to give police information quickly. Zink was named St. Paul's officer of the year in 2016, in part because of his efforts to change the way police approach people with autism or other conditions. "The whole, big hope for this, for anyone that uses it, is having that information instantly," he said. "And having that information instantly is critical for officers." Dawn Brasch, senior director of the Autism Society of Minnesota, has a 6-foot, 250-pound son with autism. She's been testing the VariAware system and said she hopes it can speak for her son if police find him and he's having difficulty. "To have that knowledge, immediately at their disposal, that says 'Wow, look, it's Jake. He has autism. Oh, look, I can play the Aladdin song and it will calm him down,'" Brasch said. "And before he can even get to the point where he can raise his hand or grab somebody or take off, if you were to say him one of these de-escalation techniques that we have on his app, it will turn him around just like that." St. Paul is the first city to try the VariAware system. The Twin Cities company that created it is so new it doesn't have an office yet, and St. Paul police will be the guinea pigs for rolling it out. The city signed a two-year, no-cost contract. 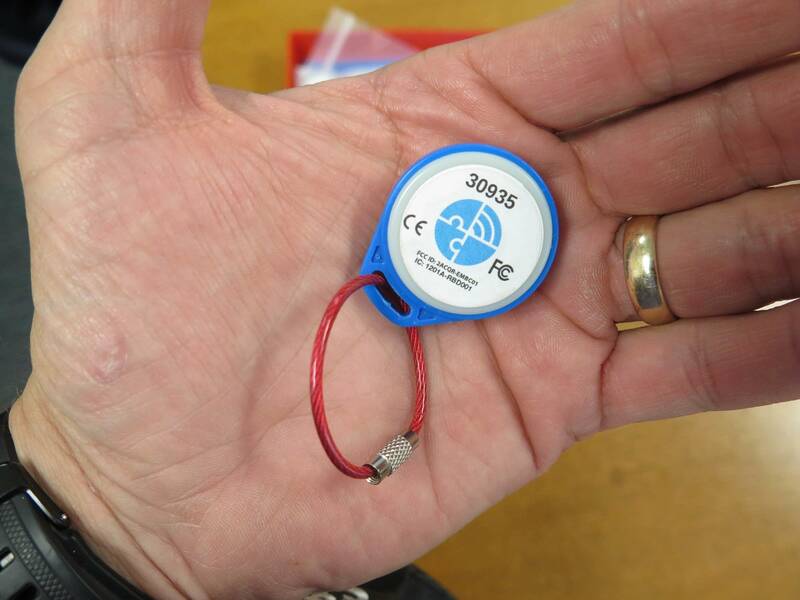 Police will have digital keys to identify the beacons — they won't be visible to the public. The beacons come in two forms: a wallet-sized card and a button about an inch in diameter. The subscription runs $10 a month for users, although the company is weighing a plan to help low-income clients afford the Vitals Caregiver app. Police hope to have the app running on officers phones across the department by mid-September.